Universal Windows Platform: File IO / Data Store APIs (50 ideas) – Welcome to the Windows developer feedback site! It would be nice to have disk deduplicaiton available in Windows 10 Enterprise. Windows' default behavior with regard to file deletion is a source of pain for multiplatform projects written to assume Linux deletion behavior. On Linux, an open file can be deleted by marking it for deletion, and removing it from the parent directory's file list. The deleted file disappears immediately from the parent folder. The data is deleted once the last handle is closed. Notably this allows recursive deletion of a directory with open files, as well as creation of a new file with the same name (useful for e.g. lock files). By default, Windows won't allow an open file to be deleted. With the FILE_SHARE_DELETE flag, files can be marked for deletion while open. Unfortunately, the deleted file remains in the parent directory's file list until all handles are closed. This prevents deletion of the parent directories, as well as creation of a new file with the same name. Windows 1709 added support for deletion of files with POSIX semantics, where a file disappears from the parent directory immediately on deletion, rather than sticking around until all handles to the file are closed. The FILE_DISPOSITION_POSIX_SEMANTICS flag can be used along FILE_DISPOSITION_DELETE when calling https://docs.microsoft.com/en-us/windows-hardware/drivers/ddi/content/ntifs/nf-ntifs-ntsetinformationfile, which deletes the file with POSIX behavior. The flag can't currently be easily used, as NtSetInformationFile isn't intended for public use, and you need to work around it by using GetProcAddress and redeclaring some of the structs. This seems to be what e.g. Cygwin does to make use of this flag. It would be good if we could use the flag from the regular file API, e.g. via https://docs.microsoft.com/en-us/windows/desktop/api/fileapi/nf-fileapi-setfileinformationbyhandle. "If the old argument and the new argument resolve to either the same existing directory entry or different directory entries for the same existing file, rename() shall return successfully and perform no other action." In other words: if "foo" and "bar" are links to the same file, rename("foo", "bar") shall neither touch "foo", nor "bar". Both links shall survive the call and rename() shall return 0.
should left "foo" and "bar" untouched and return STATUS_SUCCESS. It would be pretty helpful if that could be added to one of the next Windows 10 release. Is it possible within a UWP app to obtain the UNC name of a mapped network drive/folder? when I don't have a UNC pathname but instead a 'mapped' pathname, like "Z:\temp", is there an API that allows me to convert this name to the UNC name, e.g. "\\192.168.0.122\temp"? It's nice that the MediaPlayer supports .webm videos, but for some reason these files are not considered as video library files, by which I mean if you register your app to open this extension and you also add the video library capability to your app, you would expect the neighboring files query to contain neighboring .webm files, but it does not. Please can you add the .webm extension to the relavent list? Also, can you do the analogous thing for .dds files but with the pictures library? The FutureAccessList has a number of big limitations, not just the file limit. For example what if I want to make an app that can save music playlists or slideshows. The user might not be storing their files in the relevant library. If I can add files in the saved playlist to the access list but there is no way to know when the playlist has been deleted and so to free space in the future access list. The broad file system access capability does get around this but it requires the user to opt in and it also seems a shame to lose some of the security associated with UWP apps. My suggestion is that to get future access to a file you request a token similar to now but instead of that being saved in a list, the token itself contains the permission to access the file. For example, you could take the file path or file identifier, add the app I'd or something, then create an HMAC code using a machine or user account or something dependent key and return the whole thing as a signed token to the app, which it could then store and use to request future access to the file. Ideally there should also be some mechanism to cover the case where the user copies their files to another machine, and it should work for multiple users on the same machine. It might be useful if the app could extract the file path from the token without the need of decryption just in case the files have all been moved and it needs to prompt the user to reselect them. I haven't thought through all the details of the encryption but I think some of the principles are the same as that of client-side sessions in web development. Thanks for the consideration. Let users add their own Checkboxes, Comboboxes, etc to the FileSavePicker UI. Under UWP it is still not possible to open a folder or file out of the sandbox. Even to suggest a path is not possible. So your are not able to suggest a folder or file to the user by a path-string. So at the moment i have to tell my customers: open the folder-picker and navigate from the pictures-library to the path:D:\very long path..\final_folder. and thereby... the folderpicker has no preview to the content in a folder. so this is now in 2017 after the great fall creators update still a ridiculous status of the great iniative: change to UWP ? so picker.SuggestedStartLocation is not a string to a path, but only a selection of libraries. does microsoft really believe that users and developers accept that lowest budget setup? now after the great Windows 10 Fall Creators Update it is still a joke to switch and develop to UWP. does anybody at MS have an idea how to propose an path in an UWP application? * Scenario: An application saving different file formats with the same file extension (example: choices for TXT files when saving with Excel, MS Office). * Case (tested): When using FileSavePicker with UWP, even if the application adds different choices with the same file extension then it is not possible to know which of those choices the user actually selected. FileSavePicker just returns a StorageFile class for the file name and extension. * Issue: I developed a Desktop application saving files with different formats with the same file extension (using SaveFileDialog and FilterIndex), and currently UWP would not allow me to convert the application from Desktop without adding additional menu options or dialogs so the user can chose what he/she wants. This means adding more steps to select something that is already shown on the FileSavePicker dialog, which I think it would eventually affect in a way the user experience. * Suggestion: If the returned StorageFile class could not provide the actual entry of the choices selected by the user, maybe the FileSavePicker could do it with a read-only property or method after the user confirmed the file. "The SuggestedStartLocation is not always used as the start location for the file picker. To give the user a sense of consistency, the file picker remembers the last location that the user navigated to and will generally start at that location." So SuggestedStartLocation remembers where you were, and continues to open that same folder every time. This is not always the best solution, for example, pretend you had a UWP app that asked the user to select a picture and a music file. In this situation, SuggestedStartLocation makes it more confusing because when the user tries to pick a music file, the FileOpenPicker is opening in the PicturesLibrary. Please create ActualStartLocation in FileOpenPicker so that we can open the file selection dialog into the exact folder we want. 1000 entries as limit for FutureAccessList is way to low. Please increase the limit way up or remove it completley. Optional show an user input dialog, requesting access to the file or folder and let the user decide. Store the folder containing the file wont exceed the limit as fast as storing each file in the FutureAccessList. If you add files from across the filesytem, which I do in my app... letting the user drop in images and videos from any location, you could rapidly hit the 1000 files limit. To counter that and trying to add the folder from the file, this won't be possible because an exception would be thrown, even if you added the file itself to the FutureAccessList before that. Introduce Userchoice Dialog if AccessException is raised. It is really sad that I cannot just grab my phone, go to file explorer and tap on a video I want to play that is on my local network. This is ridiculous. Also and perhaps more importantly developers need this! Do you know how many hoops I have to jump though to make an app that simply takes photos and puts them on a network location... Too many. With SMB support any developer could connect to a remote file share via URI (eg. \\servername\share\sub-folder) and then authenticate using remote server credentials and just like that you have enabled many more applications to get made. It is crazy that such basic functionality is not currently supported, almost every device on the planet supports this other than windows phone. which is great. Unfortunately, access is ONLY guaranteed via StorageFile, StorageFolder. This makes it hard to port existing codes that make intensively use of the other API. Once a StorageFile or StorageFolder is allowed to be accessed by the user, it SHOULD BE accessible across all those different API. Right now, attempt to do it using Win32 or stdio will result in Permission denied which is total nonsense; basically saying that, "OK, we give you these API options but we dare you to try to use the classical one." On Pre Windows 10 (tested XP-8.1) i was able to create a link in the favourite section of the file explorer (done with WshShellClass). With the quick access bar in windows 10 it's not working anymore since quick access is something new (like it so far). Please provide an API for accessing quick access. A Bonus would be to be able to set a link for all users (incl. the user accounts to come). 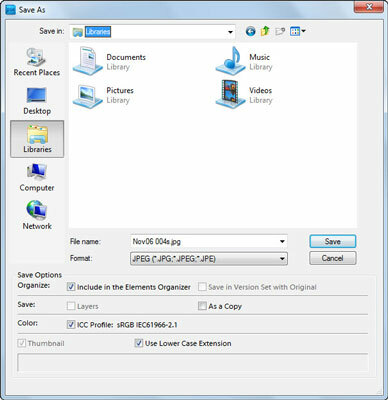 We are currently investigating how an API like this would work given a user could remove the item from the Quick Access area inside the file explorer. One thought currently is this would be a user opt-in feature where a user could deny your app from being allowed to even add it. We would love to hear the scenarios on how your app would use such a feature and some edge cases that would be relevant to you. This will allow us to properly form true developer driven scenarios. Support multi-level path in StorageFolder.CreateFolder. It seems StorageFolder.CreateFolder does not support multi-segment path. For example, "levelA\levelB\levelC". If we try to use one of those, it answers with a "parameter incorrect" without any details. Please support multi-segment path for this method or, at least, return a message giving more details.